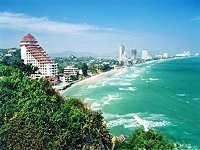 Bangkok, River Kwai raft hotel, Chang Mai, Chiang Rai and a relaxing beach break at Hua Hin! At Bangkok, our Bangkok representative will be at the airport to welcome you & transfer you to your hotel. Rest of day at leisure. In the early morning, we depart to see the Damnern Saduak Floating Market. 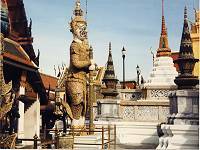 Afterwards, we return to Bangkok to start our city tour which will include The Grand Palace, Funeral Hall, Wat Pra Kaew, Wat Traimit, Wat Pho, Wat Benchamabopit & temple of Dawn plus a canal tour on a private boat. After dinner at a riverside restaurant, we take an evening trip to see the night market. After breakfast travel to Ayutthaya ancient city. 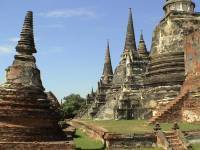 After lunch at a floating restaurant, visit historical ruins & four main Buddist temples. Drive back to Bangkok & overnight. 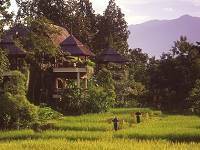 Transfer to airport for your flight to Chiang Mai, pick up & transfer to hotel. Today's city tour includes Wat Suan Dok, the temple supported by the Royal Family of the Lanna Kings, also visit two oldest temples (over 700 years) inside the city wall. Drive around the old city & see the original city moat, ruined city gates & local market. This evening, we take dinner at Chiangmai Cultural Center with traditional northern food (Khantoke) & Northern Thai dances such as the Fingernail dance, Candle Light dance, Hill Tribe, Aka, Yao, Meo, Lisu dances etc. This morning drive to Doi Tung & visit Princess Mother Commemorative Hall, gardens & Villa. 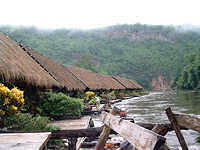 Afterwards we visit Yao & Akha Hill Tribe villages, then drive to the Golden Triangle area & have lunch at Sri Wan riverside restaurant. After lunch a boat trip to Chiang Siang & visit Wat Chedi Luang before driving back to Chaing Rai. Transfer to airport for your flight back to Bangkok, then transfer by car to Hua Hin & transfer to beach resort for stay of 4 nights. Transfer by car back to Bangkok for your homeward flight. This tour takes you from the hustle of Bangkok to the tranquility of the River Kwai, colourful upcountry Chang Mai & Chiangrai and ends with a relaxing break on the beach at Hua Hin!